TAG Heuer is huddling up with Google and Intel to build a luxury smartwatch, but it'll be a while before they actually show it off. The three companies announced their partnership during the Baselworld watch and jewelry trade show in Switzerland. 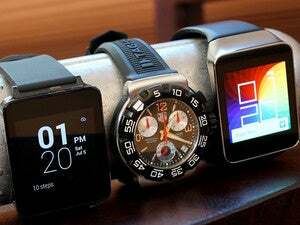 The watch will run Google's Android Wear operating system, but that's about all we know for sure. The companies promised to announce more details by the end of this year. The three companies spent most of their press conference extolling the virtues of their collaboration. 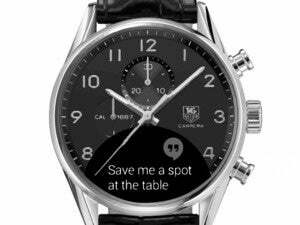 TAG Heuer lacks the necessary technology expertise to build a smartwatch on its own, and Silicon Valley firms could use some help on the design front—as evidenced by the many ho-hum or outright ugly smartwatch designs on the market today. It's worth noting that when Google announced Android Wear a year ago, it listed another big watch brand, Fossil Group, as a partner. Later in the year, Intel announced that it was also collaborating with Fossil on wearable technology, but it didn't mention Google. So far, neither partnership has yielded any actual products, though Mashable reported in January that Fossil Group still plans to launch connected watches later this year. Meanwhile, some other Swiss brands are working on analog watches with smart features such as fitness tracking and automatic time-zone adjustments. 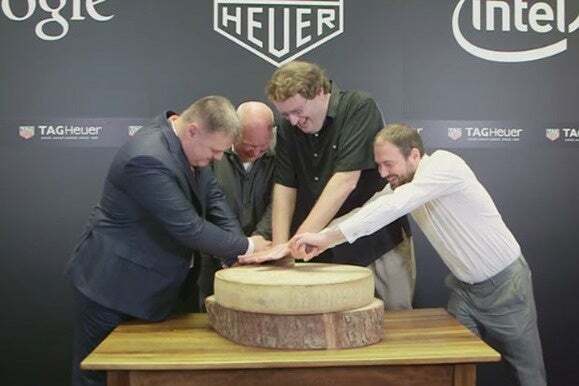 The story behind the story: While the timing of Baselworld is coincidental, it certainly seemed like TAG Heuer and its Silicon Valley partners were trying to take some air out the Apple Watch, which launches next month. Still, it's hard to shake the notion that the three companies were caught flat-footed without an actual product to demonstrate. Add the fact that Android Wear only works with Android phones, and the odds are slim that anyone eyeing an Apple Watch will now feel compelled to delay their purchase.